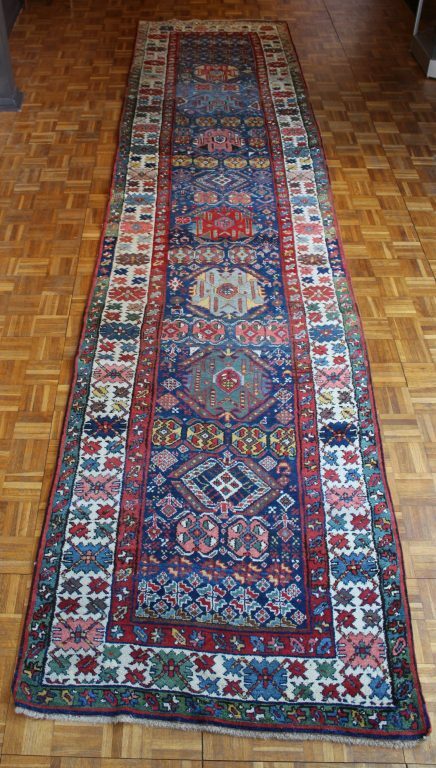 This runner was made in the Kurdish part of Iran in Persian Azerbaijan around the middle of the 19th century. 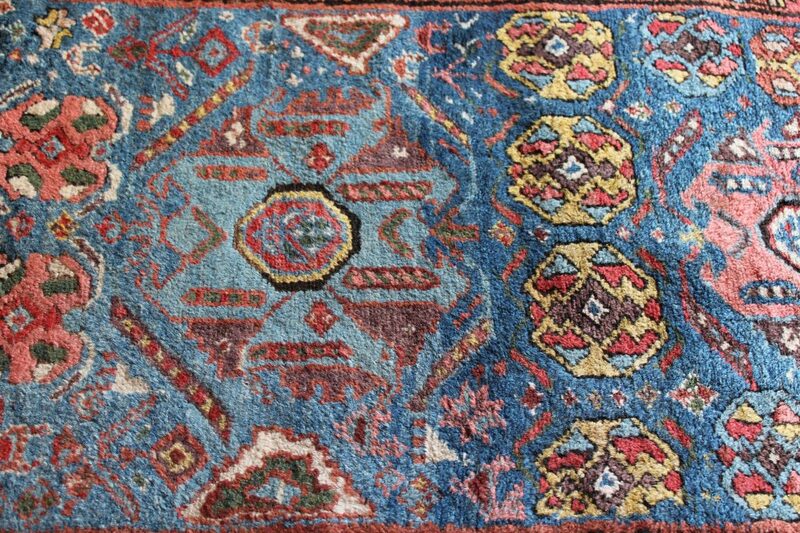 It is an outstanding example of the art of weaving and dyeing with an enormous range of colours, all natural dyes, including several shades of blue, a deep aubergine and an unusually saturated yellow. 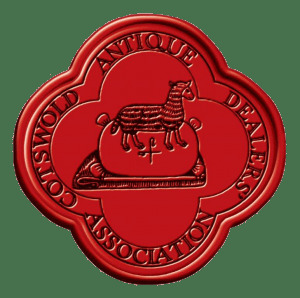 The quality of the wool, lustrous and soft, is in keeping with the exceptional quality of the piece. The two minor borders, one on a green and one on a red ground, appear to be a variation of the stars and leaves design, which is not uncommon in Azeri weavings. They flank a white-ground main border with a geometric flower design of one large flower head and four smaller flower heads protruding form it. The field on a light blue ground is a rich array of rows of flower heads in varying sizes, interspersed with numerous small birds. Wool on a wool foundation, with brown and ivory coloured single wefts. 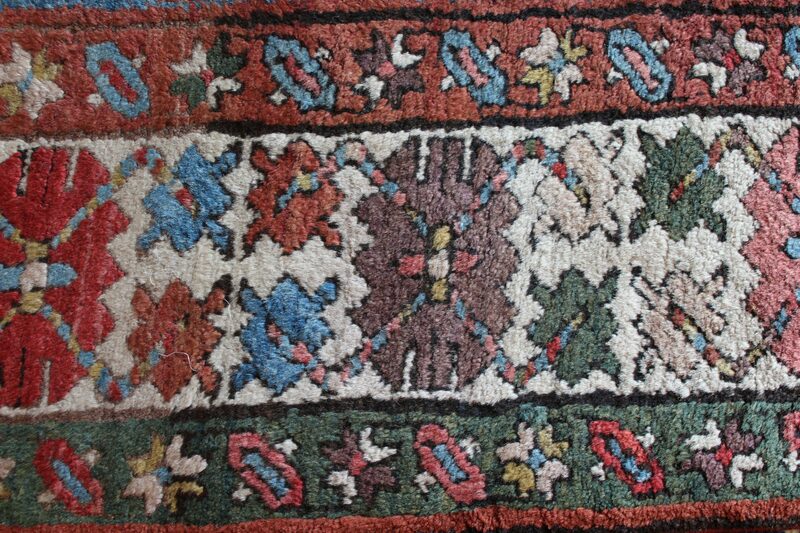 The single weft and the fairly loose handle would support the runner’s inclusion in the Koliya’i group of Kurdish rugs.